In the video below I discuss a technique that I use in order to position the patient before manipulation (or mobilization) in order to ensure that the specific joint segment, or section, of interest is placed at its end-range before the thrust occurs. When using this positioning method, you will find that the amount of force needed to achieve the manipulation is FAR, FAR less than the hard body drop that is commonly used. 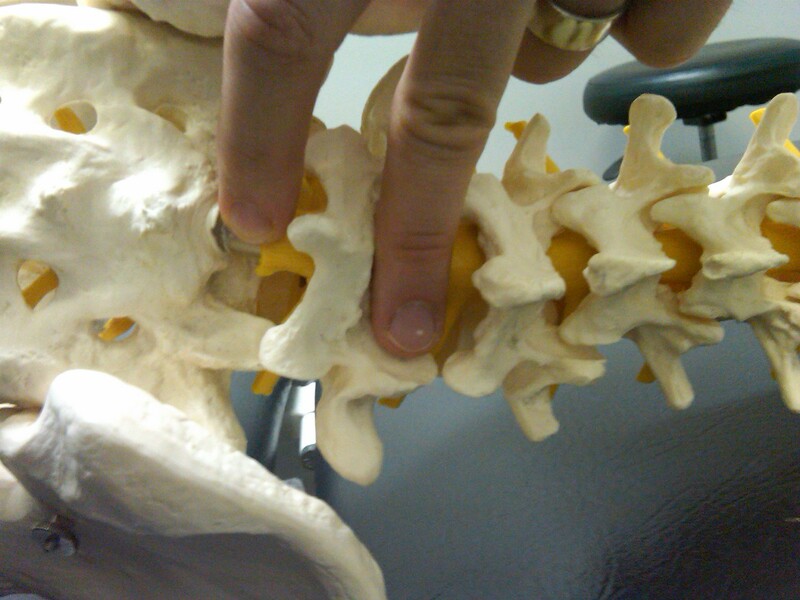 You will also find that the amount of rotation that is needed is much less as you are able to bring a very small region to end-range without twisting/wringing out the entire spine. 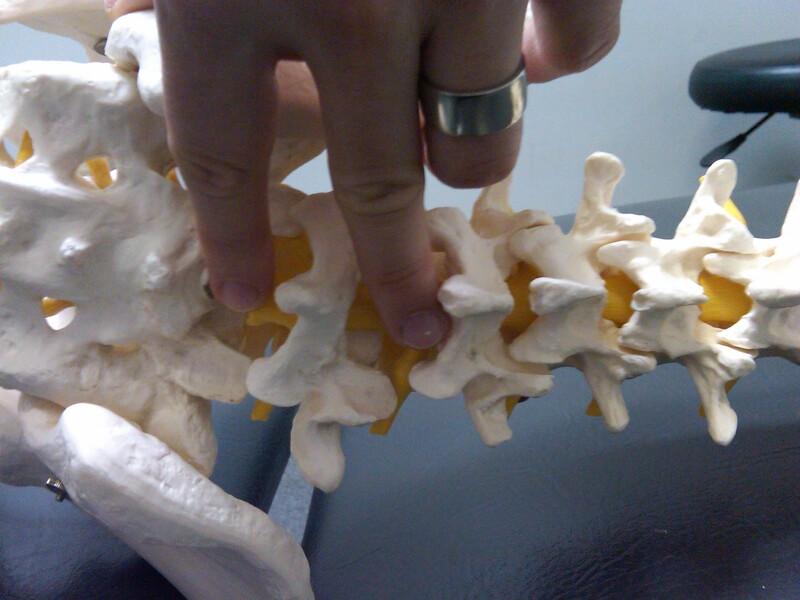 This becomes very important in situations of acute low back pain where range of motion is very limited due to pain. It is also important in cases where the patient is extremely flexible (in the video below I demonstrate the manipulation on a professional dancer). You will notice that very little rotation is needed…as well only a small “impulse” thrust is used. 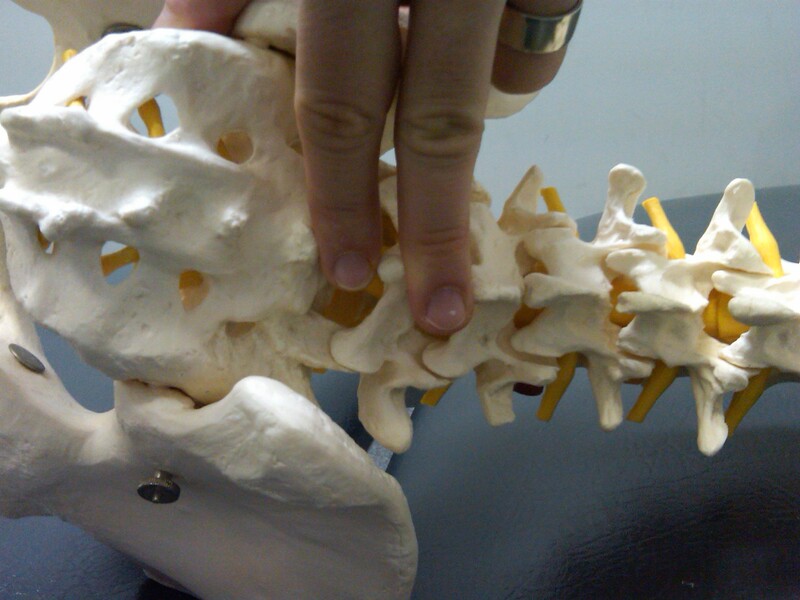 Figure 2 – the thigh is brought into flexion until you begin to feel the interspinous spaces open (fingers seperate). The higher the lumbar level, the more flexion needed. 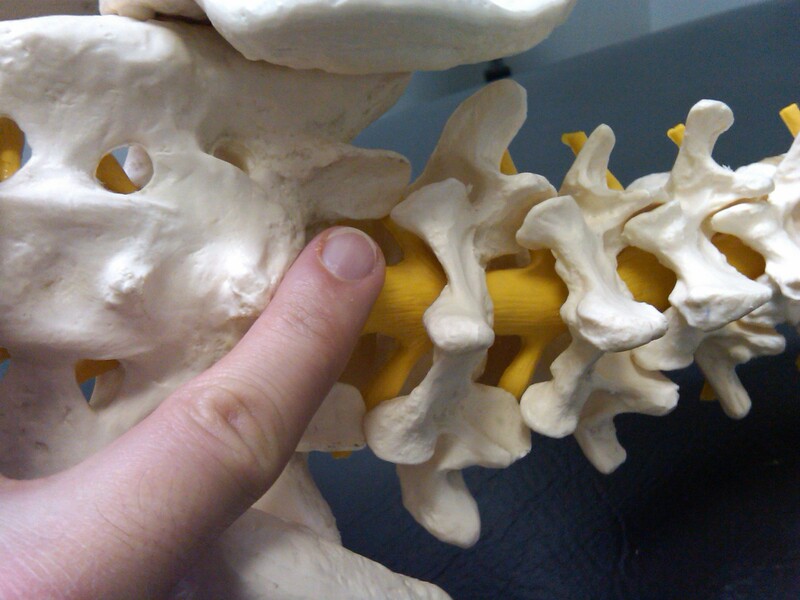 Figure 3 – grabbing the patients arm, the upper body is rotated only until you feel the top finger move inferior to the bottom as in the picture. NO more rotation is necessary…which is not a lot.